This one pot recipe is so quick and easy you won’t know what to do with yourself with all the extra time you saved on dinner! On this weeks Kelly and Company I talked about Fall comfort food and shared my top picks along with a few surprising ingredients to take your dish downtown to flavour town! Topping that list is Mac and Cheese. It’s cheese, pasta, milk, and butter which in my language means Love BUT just when you thought it couldn’t get any better try adding powered mustard. Add in a teaspoon to the cheesy sauce while it’s hot stir and add macaroni. Be prepared for a party in your mouth! NOTE: Don’t expect to get an overwhelming mustard taste. 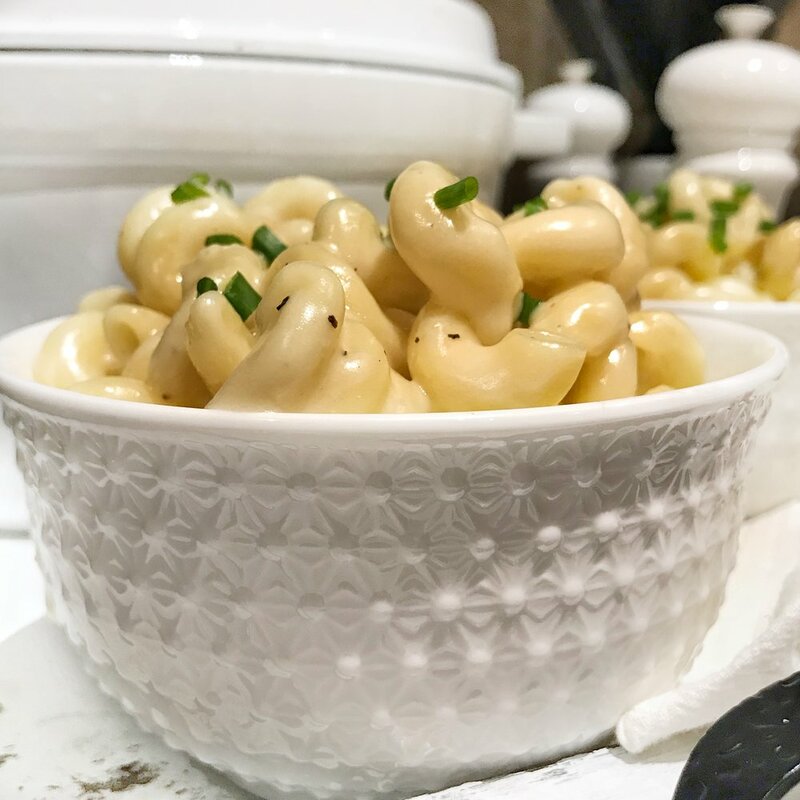 The acidity cuts some of the creaminess of the mac and cheese and rounds out the flavour. It also adds a slight tang that I think adds a little character to the dish. Melt butter in a large stockpot over medium-high heat. Add flour, and stir until combined. Cook for 1 minute, stirring occasionally. Then pour in 1 cup of the water, and whisk until the mixture is completely smooth and begins to thicken. Gradually pour in the remaining water and milk, stirring until evenly combined. Stir in the pasta, salt, garlic powder, and mustard until combined. Then continue cooking, stirring occasionally, until the mixture begins to simmer. Grating your cheese while the pasta cooks to save time and set aside. Reduce heat to medium-low and continue cooking, stirring occasionally, for about 9-10 minutes, or until the pasta is al dente. Remove from heat, and stir in the cheese until melted. Taste, and season with additional salt and black pepper, if needed. TIPS: Always use block cheese for this recipe, and then grate them at home. Try not to use pre shredded bags of cheese. They have less flavour and don’t melt as nicely as grating your own. CHEESE SWAPS: Half-cheddar, half-fontina, or gouda, or havarti if you would like a creamier mac and cheese.